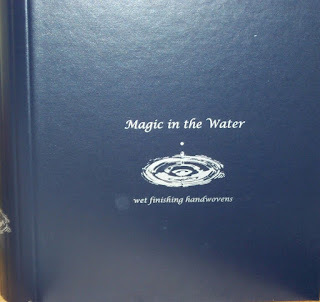 I was reminded recently that I haven't mentioned the things I sell for a while - especially Magic in the Water now being available for sale in either PDF or print-on-demand. 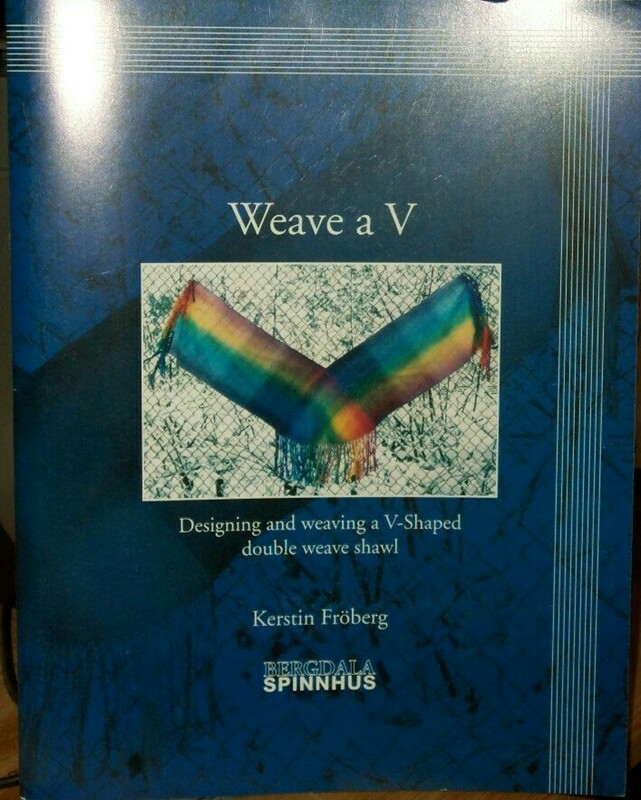 Then there is the book/monograph I published in English for Kerstin Fro:berg, Weave a V. If you are in Europe, you might like to use the link and buy directly from Kerstin. She has both Swedish and English versions available. My editor assures me that she will have the final final edits of The IntentionalWeaver done by Friday, but I have company until the 28th so nothing much will get done until March. 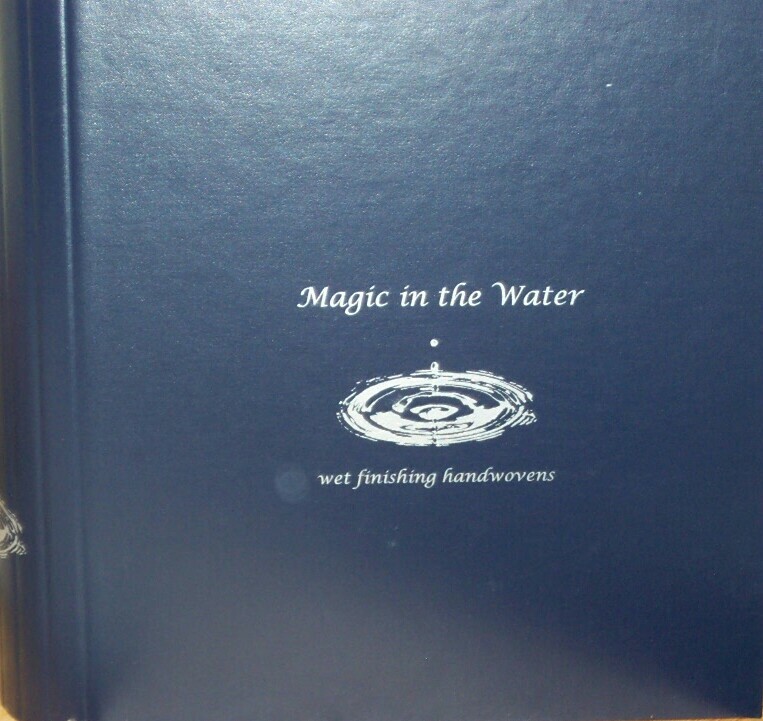 However, I do feel (after meeting with Ruth in person) that I have something worthwhile publishing. I just want to add some more projects and a few more hints/tips specific to the weave structures I am including. Then this summer I am hoping for a massive photo shoot to make the photos consistent because I've just been cadging photos from my files and they span about 12 years. And no, I no longer look like that in some of those older photos. :( So, for the sake of visual harmony, all of the photos need to be re-taken. Again, I am not trying to write a 'how to learn to weave' book, but mining my 40 mumble years of production weaving, teaching and writing about weaving, in hopes of a 'how to weave better' book. My finances took a big hit last year for one reason and another (a parent dying does tend to kind of knock the wind out of your sails) and I'm scrambling to keep myself afloat during the early months of this year. As for teaching, I've had to cancel one workshop already this year but it looks like the local workshop on Twills will go ahead the first weekend of April. If you are interested, feel free to email me via my website and use the contact form. For Olds, I'm still sitting on contracts for four classes - three level one, one level two. This program is 5 days in person with the instructor, then homework to be completed during the following year. Right now there are classes in Yadkinville, NC, (although I'm not teaching there) Cape Breton (Englishtown, NS) and hosted by the Olympia, WA guild (Tanino, WA). I am also working on more written projects. One has been sent off to Handwoven for the Nov/Dec issue and I'm quite pleased with how the cloth looks. I hope I have presented a familiar weave structure in a fresh way. As always, thank you for reading and your feedback. Online teaching sounds great! Hope the medication starts working and you feel less fatigue, soon. Not having to travel would be great for me, too!